How To Buy Hong Kong Dollars in India? Why Buy Hong Kong Dollars Online via ExTravelMoney? HKD rates can fluctuate dramatically. With Extravelmoney, you can observe and lock the rate when it is favorable. Just pay a small fully refundable rate lock fee & lock the rate for as much as 3 days. Hong Kong Special Administrative Region is an extended territory of The People’s Republic of China. The Hong Kong Dollar is the official currency of the region apart from the Chinese Renminbi used in the mainland China. 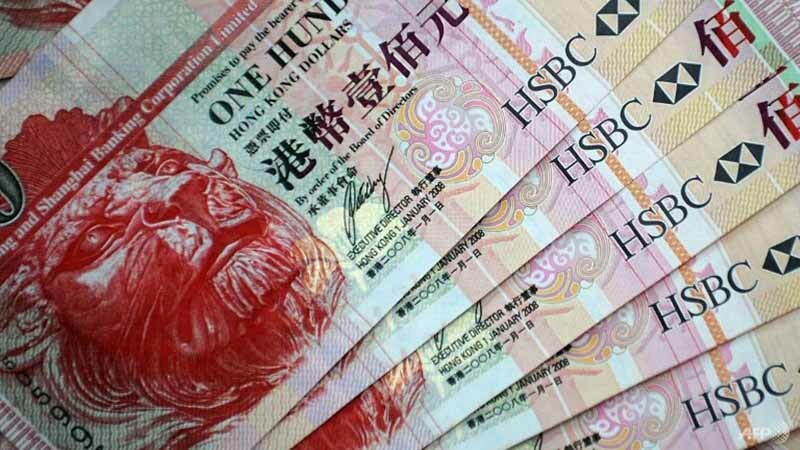 Represented by HKD or HK$, the currency is issued by three banks; HSBC, Bank of China, Standard Chartered and controlled by Hong Kong Monetary Authority. The banknotes are of 10, 20, 50, 100, 150, 500, 1000 HK$ and coins are of 0.1, 0.2, 0.5, 1, 2, 5, 10 HK$. The HKD has an exchange value between 7-9 Indian Rupees. ExTravelMoney offers you forex services at no extra cost right at your doorsteps regarding the buying/ selling of Hong Kong Dollar. 1. How much cash can I carry from India to Hong Kong? If you a resident Indian, you are allowed to carry Hong Kong dollars as cash, equivalent to maximum 3,000 US Dollars (approximately 23000 HKD). If you want to carry even more Hong Kong dollars, you can load them in forex card or traveller’s cheque. The total amount, including cash has to be less than 10,000 USD equivalent (approximately 78000 HKD). 2. Is HKD accepted in Macau? Yes, the Hong Kong dollar is widely accepted in Macau. Macau has its own currency the Macanese Pataca (MOP) which is pegged to the Hong Kong dollar. 1.03 MOP equals 1 HKD that is the Hong Kong dollar is roughly 3% more valuable than MOP. However, please note that when you are in Macau and use HKD for your payments, you’ll be charged a 1:1 exchange rate. For example, if you buy an antique vase in Macau, priced at MOP 100 and pay for it with HKD, you’ll be charged HKD 100 i.e. a loss of nearly 3 HKD in exchange rate. 3. How much Indian currency can I carry from India to Hong Kong? As per RBI mandate, a resident Indian is allowed to carry up to a maximum of INR 25,000 when going abroad from India to Hong Kong. Please Note : Nowadays, INR 25,000 would hardly meet your Hong Kong trip needs. Also, it’ll be very difficult to exchange Indian rupee for Hong Kong dollars as most banks and money changers may not accept Indian currency. Hence, it is better to convert INR to HKD in India itself before your trip to Hong Kong. 4. Minimum currency required to enter Hong Kong? There is no minimum currency requirement to enter Hong Kong. However, most travel forums advise travellers to carry minimum HKD 5,000 for a safe entry through immigration. 5. Where can I exchange Hong Kong dollars? You can exchange Hong Kong dollar for INR or exchange INR for Hong Kong dollar at your bank or with RBI authorized money exchange stores. 6. Best way to get Hong Kong dollars? Banks and money changers offer Hong Kong dollars. However, to find the forex store offering the best exchange rates, you’d have to physically visit your bank and each individual money changer store to find out their exchange rates for buying Hong Kong dollars. This is time consuming and takes too much effort. The best way to buy Hong Kong dollars is by visiting ExTravelMoney.com. The ExTravelMoney online forex platform let’s you compare the exchange rates of different money changers in your location. You can look up the exchange rates online and even place the order for buying Hong Kong dollars online, without moving from your home. You can also lock the exchange rate of your transaction through ExTravelmoney and ensure door delivery of your foreign currency! 7. Best way to take money to Hong Kong? The best way to take money to Hong Kong would be through a combination of payment methods. Before your trip from India to Hong Kong buy Hong Kong dollar currency as cash. Make sure at least 40% of your estimated total trip expenses is converted to cash. The rest 60%, load as Hong Kong dollar to prepaid forex travel cards. Also, carry your international debit/credit card as backup payment methods. Avoid carrying Traveller’s cheques as they have almost become obsolete in the digital age. 8. Which are the valid Hong Kong dollar notes? Can I exchange exchange old Hong Kong dollars? The valid Hong Kong dollar note denominations are $10, $20, $50, $100, $500, $1000. They can be found in everyday circulation. Old Hong Kong dollars are still valid and can be used as payment. However, if you are facing any difficulty with old notes, you can get them exchanged for the new notes at banks in Hong Kong. 9. How much is 1 Hong Kong dollar in Indian rupees? As of today the rate of 1 HKD is Rs 8.31. However, this rate keeps on changing everyday. To know the current rate visit Today’s Hong Kong Dollar Rate in India. 10. Which is the best time to buy Hong Kong dollars? If you are a traveller going to Hong Kong, then the best time for you to buy Hong Kong dollar is when the exchange rate is favourable to you. How can you know when the exchange rate is good? The ExTravelMoney Mobile App lets you set rate alerts. You can set rate alerts for when the Hong Kong dollar reaches a favourable exchange rate. A notification will be sent to your phone and email and you can buy Hong Kong dollar at the best rates from ExTravelMoney forex portal. 11. Is Hong Kong Dollar prepaid card available in India? Yes Hong Kong dollar prepaid forex travel card is available in India. Compare from the many forex cards offered by banks and money changers in your location. Choose the money changer giving you the best exchange rate on forex card and book your card online. You can even get the forex card door delivered to your home or office.